Baby Step 6: Brew Natural Sun Tea! Soda -Pop – Soft Drinks – High Fructose Corn Syrup – Sugar – Empty Carbs – Enough Said. 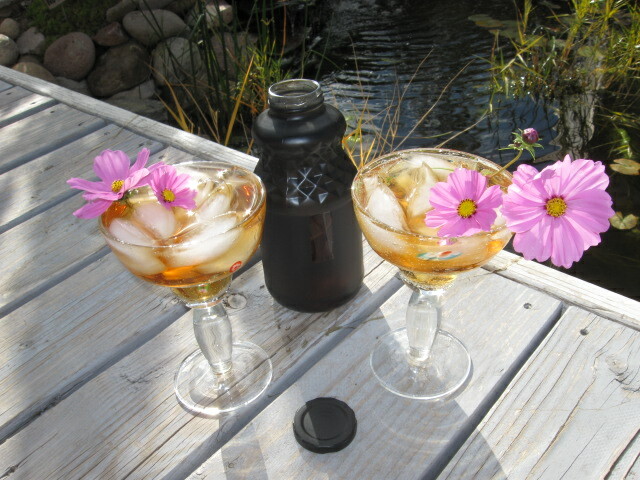 Here is a healthy, tasty, drink alternative that we live-by at Homesteading Downsized: We recommend a jug of natural, healthy Sun Tea. The selection of bagged teas at your local grocery store is amazing and staggering; All natural, organic, high anti-oxidants, white tea, green tea, red tea, black tea, rooibos tea, herbal teas – so many choices. Our seven-year old’s favorite sun tea is an all-natural Blueberry – pomegranate Green Tea. This tea brews the color purple and tastes very fruity without any sugar. 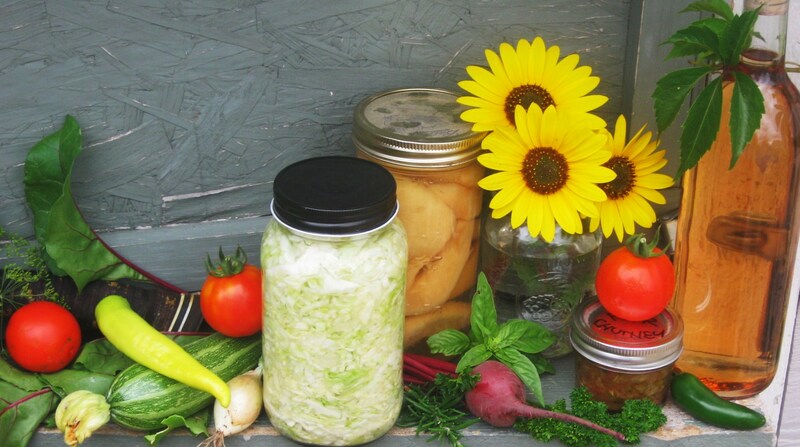 It is high in anti-oxidants and is in our fridge most of the time. We recycled a quart glass juice bottle with cap. Next we taped a piece of tape on the side of the bottle. This will be a clear window allowing viewing of tea during the brewing stage. 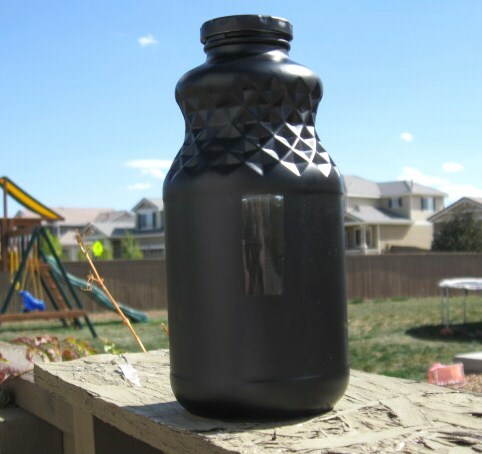 We spay painted the juice bottle with flat black paint then peeled off the tape when the paint dried. 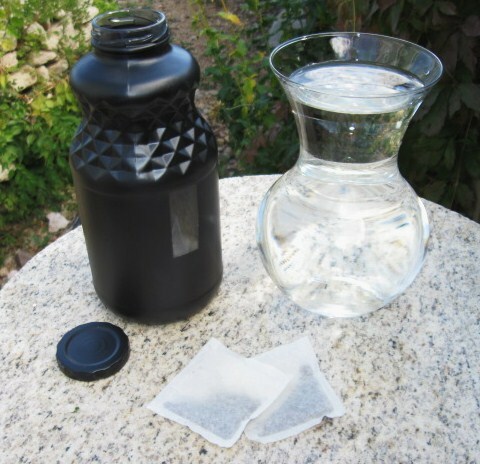 To make a batch of fresh-brewed sun tea simply fill the black bottle with drinking water and add two tea bags of your favorite flavored tea. Place cap on bottle and set bottle in sun for at least two hours. Once brewed Serve hot or chilled over ice. Garnish with sprigs of fresh herbs like mint and tarragon. Enjoy your freshly brewed sun tea at pennies a quart. How much do you spend on soft drinks and powerades? This is one easy baby step worth taking for both your health and savings.